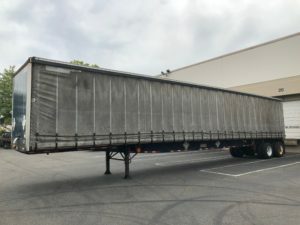 We make custom trailer curtains, in almost any custom size, shape, or color, along with quality ball-bearing trolleys, heavy duty secure-straps and vulcanized 28oz Vinyl Coated Polyester! 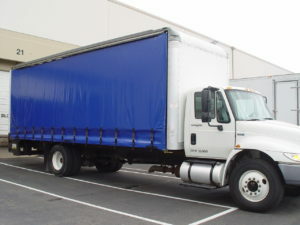 We can also repair any truck side curtain made out of Vinyl Coated Polyester and get you back on the road. 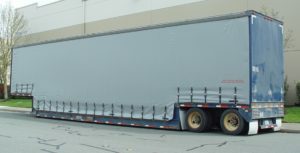 Order a custom trailer curtain using our Online Form!